Heading into the race Hubert was the strong favourite for the title, but Mazepin wasn’t ready to give up the fight - after claiming the four points for pole position he led away from the start, with Hubert sitting third. If the order stayed like that and Mazepin got the points for fastest lap, too, then the battle would go down to Sunday’s final race. However, Leonardo Pulcini had other ideas and battled Mazepin for the lead, eventually emerging in front. As Mazepin tried to regain the position he ran off the track at the Turn 11 chicane. Although he rejoined without gaining any time, a message soon popped up that he’d been penalised. Although his off-track excursion had almost no effect on the race, Mazepin failed to drive to the right of one of the bollards to rejoin the track - something that all drivers have to do this weekend if they go off the circuit at that corner. As a result, the stewards slapped Mazepin with a 10-second time penalty. That dropped him from second to fifth at the finish and although Hubert was passed by David Beckmann on the last lap, third was enough for him to clinch the title as Pulcini won the race. 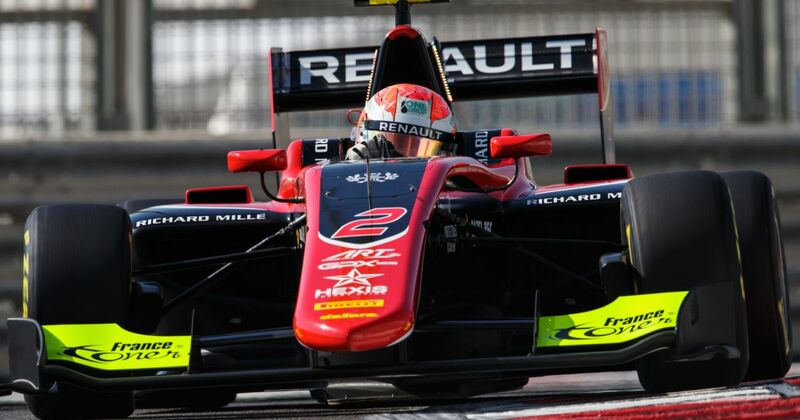 A Renault-backed driver, it’s Hubert’s second GP3 season and he was the championship favourite heading into the season. The 22-year-old’s title victory has been built on consistency - Mazepin and Beckmann have won more races this year but when it comes to the total number of podiums, Hubert is way out on top. 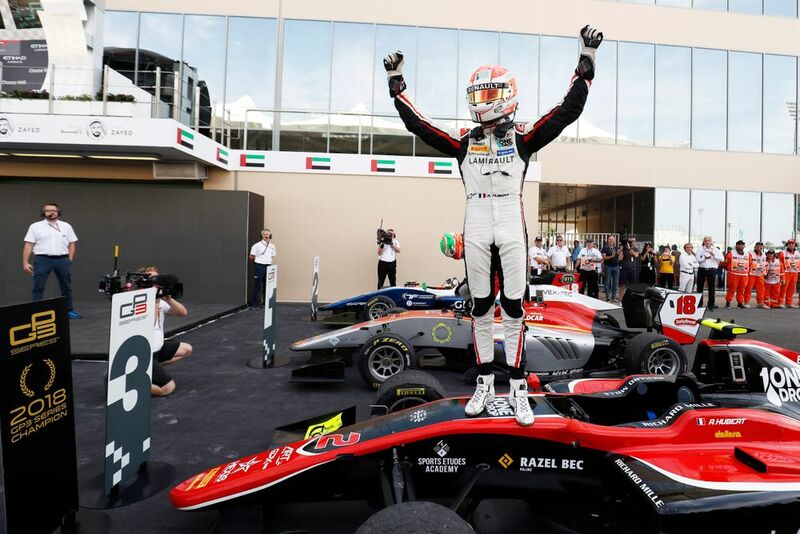 With GP3 becoming International Formula 3 for next year, Hubert becomes the ninth and final series champion. He’s in good company too. 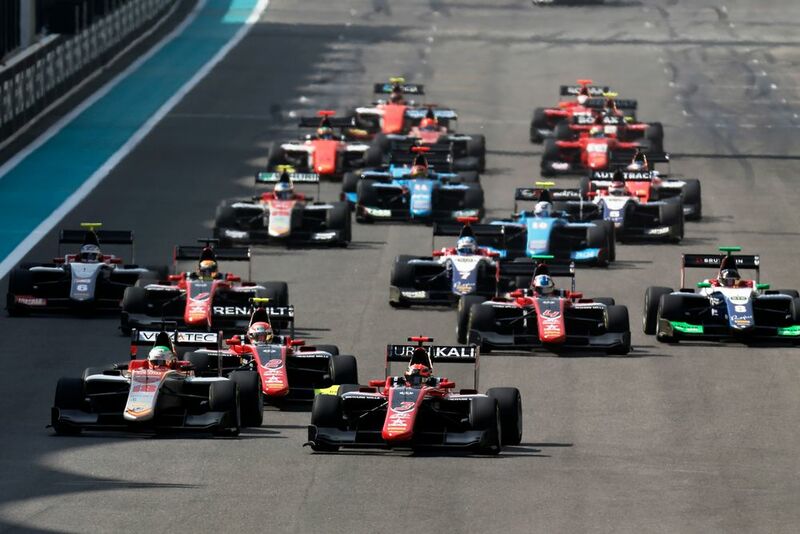 Of those former champions, seven - Esteban Gutierrez, Valtteri Bottas, Daniil Kvyat, Esteban Ocon, Charles Leclerc and George Russell have all gone on to F1. Will Hubert follow the same path, or will he join Mitch Evans and Alex Lynn in not quite making it? That’s a question for in a couple of years. For next year, there’ll probably be an F2 campaign to deal with.